Whether or not we have a designated first aid kit, most of us will have bandages, headache relievers and perhaps an antibacterial cream on hand. Did you know that symptoms such as minor cuts, bruises and stomach aches can often be treated with natural remedies? The use of herbs is a time honored approach often used to strengthen the body and, where appropriate, as an alternative to conventional medicines and treatments. Well established folk remedies, which utilize ingredients provided by Mother Nature, can soothe those aching muscles, boost your immune system, fight infections or settle digestive upset. The addition of some herbal products to a first aid kit can serve you well, whether you are at home or on the road. Arnica – Used medicinally for at least 500 years, arnica is great for relieving swelling, bruising and minor muscle soreness. Applied externally, arnica gel or lotion is used for a wide range of conditions, including injuries such as sprains, joint pain and burn treatment. Taken internally as a homeopathic medicine, arnica montana helps to relieve sore muscles, bruises and trauma caused by overexertion or injury, and is often recommended before surgery to control bruising, reduce swelling and promote recovery. Ginger – For centuries ginger has been used medicinally to reduce inflammation and to relieve an upset stomach, nausea and motion sickness. In addition to its antioxidant and anti-inflammatory properties, ginger has gas-relieving and antispasmodic benefits, which help to soothe digestive upset. Ginger may be used as a tea or taken in capsule or crystallized form. Lavender Essential Oil – Because lavender is so fragrant it is commonly used in sachets and personal care products, but lavender is more than just an aromatic herb. It is well known for its natural anti-inflammatory, antifungal, antiseptic, antimicrobial and antibacterial properties. Applied topically, lavender can help to reduce itching, swelling and redness, such as caused by minor wounds, eczema or insect bites. When massaged into the skin or placed in bath water, lavender oil can help to relieve sore and tense muscles, joint tenderness and rheumatism. When inhaled, lavender is calming and stress relieving, soothing to both the body and the mind. Colloidal silver – Colloidal silver’s safety and efficacy is an ongoing debate, even though it has been used for thousands of years. Before the advent of antibiotics, colloidal silver was the standard treatment for all pathogenic diseases. It is routinely used in hospital settings as an anti-infection burn remedy and to prevent potentially lethal MRSA infections. While not endorsed by the medical community, when used alternatively colloidal silver has been shown to safely destroy bacteria and viruses, eliminate fungal infections and to be effective against antibiotic-resistant pathogens. Rescue Remedy – This homeopathic remedy by Bach Flower Remedies was created to help provide calm and focus during times of crisis and when traumatized, shocked, panicked or stressed. Actually a blend of 5 flower essences, Rescue Remedy helps to keep us grounded during emergency or immediate situations. Keep some on hand for your pets as well to help them through their own stressful situations, such as during thunderstorms, fireworks or a visit to the vet. Oscillococcinum – Keep this on hand during flu and cold season, as when taken at the first signs of illness this homeopathic formula helps to relieve symptoms associated with the flu, such as body aches, headache, fever, chills and fatigue. Clinical studies have shown that this safe, non-drowsy formula works naturally with your body to help reduce the duration and severity of flu-like symptoms. Tea Tree Essential Oil – Native to Australia, tea tree oil has been useful as a cure-all medicine since ancient times. Meant for topical application only, tea tree oil is an effective antiseptic that can be applied directly to wounds, sores or insect bites to protect from infections. Tea tree oil is an efficient insect repellent, deterring mosquitoes, fleas, lice and flies. Proven effective against bacterial and fungal infections, tea tree oil’s anti-inflammatory and stimulant properties help to speed the healing process by encouraging blood flow to a specific area and increasing the rate of new tissue and cellular growth. Echinacea – One of the most popular herbal formulas, this Native American medicinal plant contains active substances that can help boost immune function, reduce inflammation and help the body fight infections, including the common cold. Echinacea has been shown to help reduce symptoms relating to the common cold and upper respiratory tract infections and it is also believed to attack yeast, fungal and bacterial infections. Senna – This popular herbal laxative is generally safe and well tolerated and, when used appropriately, provides relief of occasional irregularity and constipation. Senna is not intended for long term use but provides gentle, overnight relief when needed, and many find it extremely helpful when your system is out of sorts, especially when traveling. 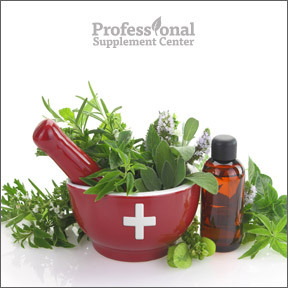 Before modern medicine, natural remedies were highly valued and passed down through generations. While there are many other widely used alternative medicines available, these are the ones I make sure to always have on hand. Although not a substitute for conventional medicine when needed, folk remedies can provide safe, effective non-toxic relief of uncomfortable symptoms related to minor injuries, illnesses and infections. This entry was posted in Home and tagged All Natural Remedies for Your First Aid Kit, Arnica, Bee Propolis, Colloidal silver, Ginger, Lavender Essential Oil, Rescue® Remedy. Bookmark the permalink.